When you're setting up an aquarium for your fish, filtration is vital to keep the water safe. 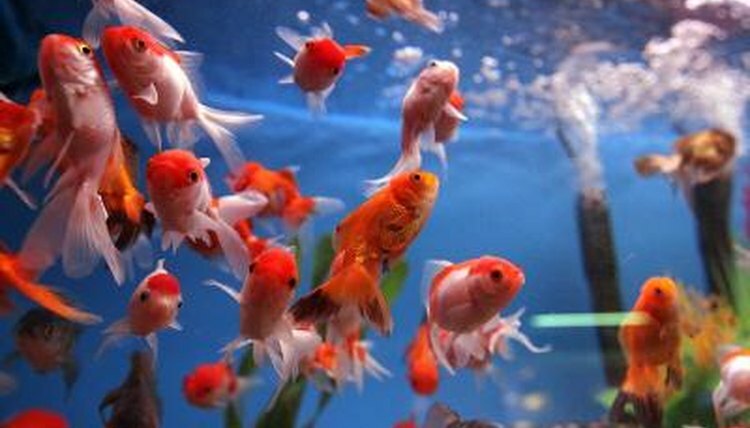 A biological filter consists of colonies of bacteria taking up residence in your fish tank. While bacteria in the water sound harmful, a colony of friendly bacteria is essential for keeping harmful toxins out of the water. No matter how big your fish tank is, it is closed system. Without proper filtration, fish waste can cause harmful ammonia and nitrates to build up in your tank, a common reason fish die. A good filtration system along with regular water changes will keep the water free of these potentially fatal toxins. A mechanical filter removes physical waste in the tank, making the water look clear and clean, as well as aerating the tank making sure your fish have oxygen to breathe. However, a mechanical filter alone isn't enough to remove toxins from the water. A biological filter works in conjunction with your mechanical filter and chemical filter to keep ammonia levels down. You want two types of bacteria to take up residence in your tank. The first type gobbles up ammonia. As the bacteria consume the ammonia, they’ll reproduce until there isn’t any ammonia left in the water. These bacteria give off nitrite as a waste product, which the second type of bacteria finds delicious. As they consume the nitrite, these bacteria convert it to nitrates. While nitrates can be harmful to fish, they’re much less threatening than ammonia. A chemical filter, like activated carbon, will remove the remaining nitrates from the water. One way to introduce bacteria into the tank is to use some gravel or sand from an established tank when setting up your new tank. You can also buy liquid additives from the pet store that will introduce live bacteria into your tank. Once inside your tank, make sure the bacteria have a place to colonize. Sand, gravel and plant leaves all make ideal homes for a growing bacteria colony. Your power filter may have a sponge inside that’s designed to house bacteria. Every now and then you’ll need to clean your filter. Care should be taken when cleaning the sponge in your filter not to wipe out a beneficial bacteria colony. Don’t run your sponge under hot tap water, as this will be a death sentence for any bacteria living there. Tap water contains chlorine, which kills bacteria. It can take up to a month for a new colony of bacteria to grow. Rinse your filter in water taken out of the tank to keep your filter clean and your bacteria happy. Always use a product that removes chlorine on any tap water you put in your tank. This will keep not only your fish but your biological filter healthy.